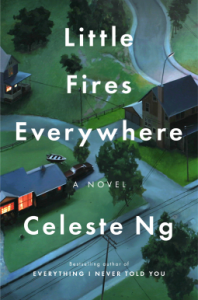 Celeste Ng's sophomore effort, Little Fires Everywhere, is destined to be one of the hottest books in 2017. Great characters and an evenly paced plot come together in a novel that is sure to impress fans of the author and newcomers alike (maybe even Joyce Carol Oates herself). With its excellent pacing and riveting storyline, it is a quick read; with the many thought-provoking topics it addresses, it will be a leading selection for many book clubs; it's intelligent, it's commercial. Bam, and just like that, a literary star is made. Little Fires Everywhere succeeds unequivocally by most standards because of its formulaic plot. Naturally, this will also be the reason some readers feel the story to be disingenuous. Every turn of events relies on another that must be orchestrated perfectly. The results are the same again and again, a cascade of well-placed plot points that make the story one-hundred percent exciting, but also difficult to swallow. 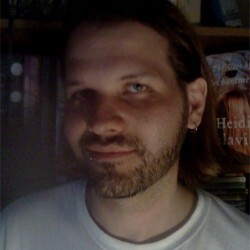 Yet this plotting is exactly what raises what would otherwise be academic reading to the ranks of a commercial success. Ng is an intelligent author with a strong grasp of language and of the craft, but she will not bore her readers. Those hoping for a more subtle telling will be disappointed by the obvious authorial manipulation, but it is this interference that frames an utterly unforgettable and engaging story where not one word is wasted. While Everything... convinced me and moved me, Little Fires Everywhere pulled me in completely. It is a story I will not soon forget. Neither will you: I can almost guarantee you'll be hearing much about it in the coming months.